We made it half way through the week! Thank heavens for 4 day work weeks, am I right? How was your holiday celebrations? I hope your plans didn't get rained out or equally as bad, I hope it wasn't a scorcher. We had pretty mild with a bit of humidity in the air, but nothing like July generally is! 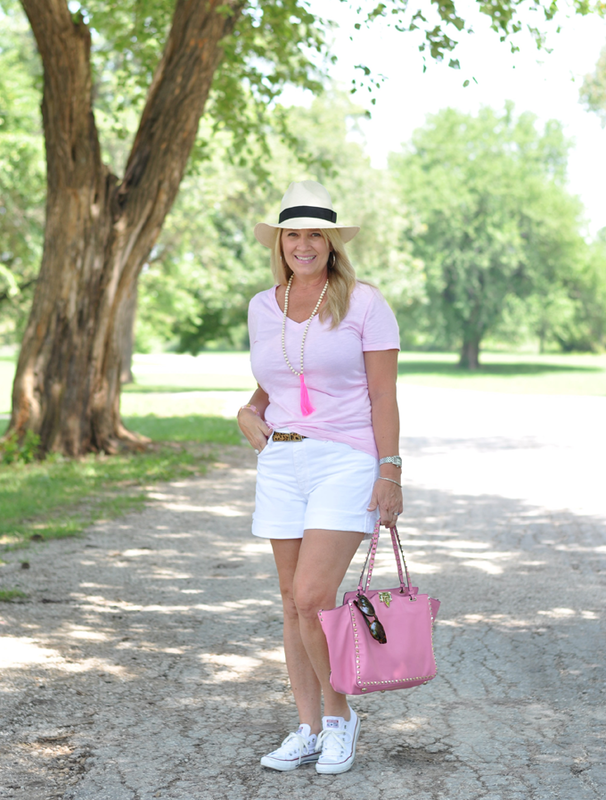 With the temperatures rising it's time for light colors and a great hat for shade. 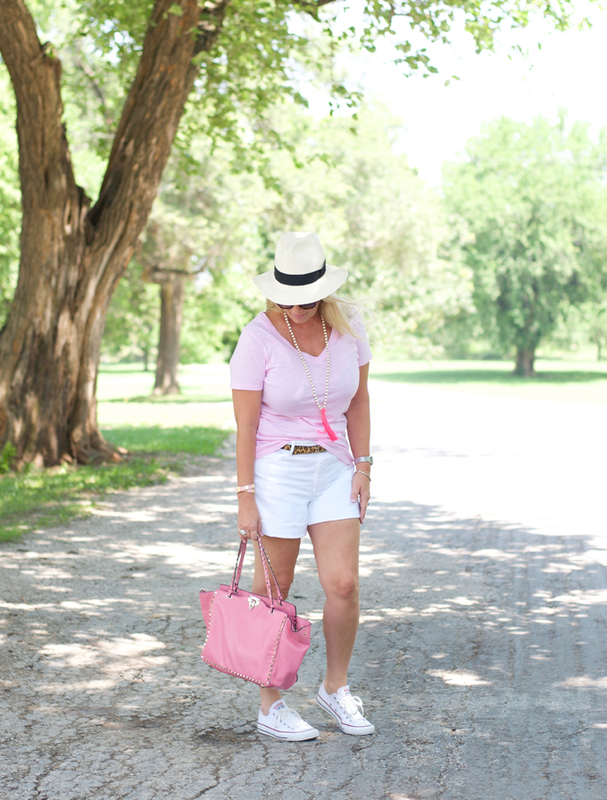 I love the light feel this outfit brings with it's pale pink and white denim cutoffs. My panama hat has been a life saver more times than you would imagine. I really don't know what I did before I had one. I wear mine in the yard, at the pool, and even on the weekends out sometimes. I again did the side tuck; it just works better for me than a front tuck with my tee. I wanted to keep the outfit light with jewelry as well so I paired only one leather Rustic Cuff wrap and a simple pair of silver hoop earrings. The neon tassel necklace was a perfect addition with a pop of color, don't you think?